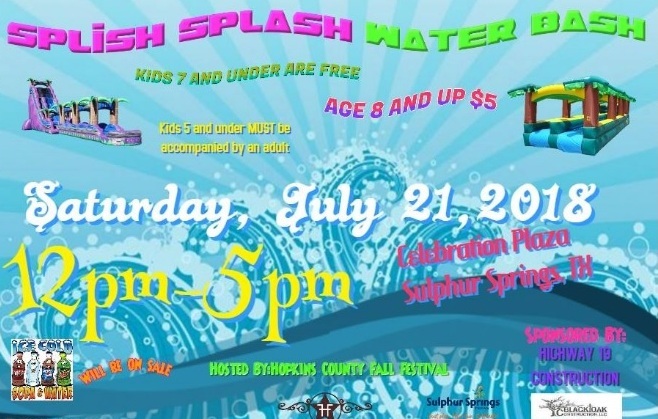 The Hopkins County Fall Festival is throwing a Splish Splash Water Bash tomorrow from noon to 5:00 pm on Celebration Plaza in Sulphur Springs. Kids seven and under are free, and children eight years of age and older are $5. Kids under five must be accompanied by an adult. Cold drinks will be available for purchase.